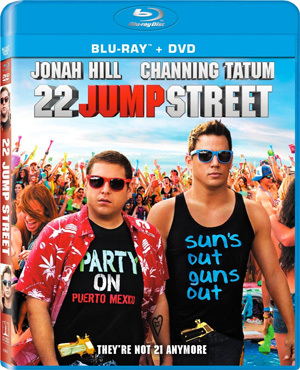 Loaded with bonus materials, Sony Pictures Home Entertainment is sending 22 Jump Street to Blu-Ray and DVD in November. After making their way through high school (twice), big changes are in store for officers Schmidt (Jonah Hill) and Jenko (Channing Tatum) when they go deep undercover at a local college. But when Jenko meets a kindred spirit on the football team, and Schmidt infiltrates the bohemian art major scene, they begin to question their partnership. Now they don’t have to just crack the case – they have to figure out if they can have a mature relationship. If these two overgrown adolescents can grow from freshman to real men, college might be the best thing that ever happened to them. 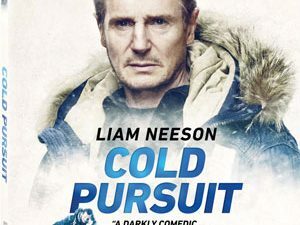 The DVD version of the movie will also contain a Commentary Track by Directors Phil Lord and Christopher Miller, along with actors Jonah Hill and Channing Tatum. In addition, the disc will contain Five Deleted & Extended Scenes and the Featurette ”The Perfect Couple of Directors”. The release will be rounded out by Line-O-Rama: “Schmidt and Tattoo Art”. The Blu-Ray version will stack a whole slew of bonus materials on top of that. Aside from all the features found on the DVD, it will come with Seventeen additional Deleted & Extended Scenes and Six additional Featurettes! “Everything is Better in College” takes a closer look at Jenko and Schmidt’s undercover transformation into college students, while “Janning and Chonah” dives into the relationship of the film’s two stars. “New Recruits: Casting 22 Jump Street” gives you a look at the new cast members in the film, while “The Perfect Line: Ad-libbing on Set” showcases the great comic actors and their improvisation in some of the film’s most memorable scenes. “Don’t Cry Yet: The Mr. Walters Prison Scene” gives you the chance to witness the unfiltered and hilarious improvisation that occurred while filming the Mr. Walters prison scene, and “The Dramatic Interpretation of 22 Jump Street” is a try at a dramatic version of the film with all jokes removed. The Blu-Ray version will also include Joke-a-Palooza, a montage of jokes cut from the film, as well as Line-O-Ramas for “Jenko and the Professor,” “Jenko Improv Suggestions,” “Mercedes on Schmidt’s Age,” and “Mercedes and The Ghost”. The release will be rounded out by the Extra Videos “Zook & McQuaid’s Football Tape” and “Jenko Split”. “22 Jump Street” will make its appearance know in stores on November 18, where it can be yours to own for $40.99 on Blu-Ray Disc or $30.99 on DVD. Click here to take advantage of Amazon’s steep preorder discounts for the title right now!